Technology is moving at a mind boggling speed, and sometimes it is easy to let it pass us by. 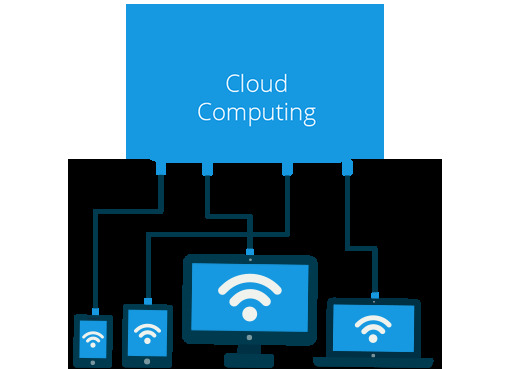 Cloud Computing has been the hot topic for awhile now. What is next? Some say it is IoT and M2M. These two acronyms stand for “Internet of Things” and “Machine 2 Machine”. Both are terms used to describe technology that has been building for years. It is simply tiny sensors that collect data and automatically transfer the data to servers, where it is used for analysis. So what does this mean in practical terms? The possibilities are endless, and some of the technology is already in use. A recent article from TechRepublic cites the story of a large bakery, who is now able to track the temperature of all of their ovens from anywhere with this technology. It is no longer a full time job to monitor oven temperature throughout the company. Now, it can be checked remotely from a smartphone or tablet in just a few minutes. This is a new world, where just about anything can be connected and data is gathered everywhere. It will allow tracking and counting of everything. It could notify us when things need fixed, replaced or recalled. It will collect maintenance information on everything a manufacturer creates, monitor your home, and more. These machines or sensors can be very low cost and operate on a variety of wireless platforms from wifi to cellular to Bluetooth. Many require very low power and can even run from solar energy. This rapidly developing technology is not going to fade away. Standards are in the works to make it so that devices can communicate from wherever they are. If you move your M2M fridge from China to the US, the manufacturer will still be able to monitor its status and collect information on it. It also expands the data being collected worldwide astronomically and creates expanded traffic on the web, huge data storage requirements, and makes big data analytics even more important. If you begin to think about it, the possibilities are endless for both the consumer and for the provider. If used correctly this technology could provide some really cool uses. The danger as with any technology is the Big Brother potential. Do I really want Proctor Silex to know that I prefer my toast at darkness setting number 3, and that I only eat toast on Wednesdays and Fridays? And what is the liability of the companies collecting data? What if my water heater reports back to the manufacturer that it is exceeding a safe temperature? The possibilities are endless with M2M and IoT. It will be interesting to see how IoT shapes the Internet, the technology in our companies, and the technology in our homes. What will our future look like with potentially everything and everyone connected?